Every price drop you need to know about today, including Pac-Man, N.O.V.A. and more. "Pac-Man, the world famous arcade classic, returns in this faithful rendition for your iPad! 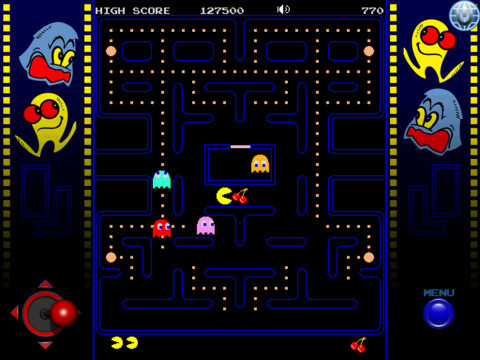 Play Original, Normal or Easy Mode and guide Pac-Man with two different control modes. Navigate through the mazes by touching the onscreen controller in Joystick Mode or chomp on dots with the swipe of a finger in Swipe Mode." "The most immersive and impressive sci-fi FPS franchise on smartphones is back! Fight for mankind's survival in the greatest space shooter on mobile devices!" "Get ready for intense web-slinging action with the Amazing Spider-Man! Join Spidey in the official game app of this highly anticipated 2012 blockbuster! Play through the movie storyline as Spider-Man faces off against the Lizard and rampaging gangs. Web-sling and crawl your way through an open, fully 3D New York while using your amazing skills to save the city." "Cut the Rope: Experiments is a follow-up to ZeptoLab's award-winning mobile game Cut the Rope, and features the familiar little monster Om Nom who is discovered by a mad (but not bad) scientist determined to study his candy-loving behavior through a series of experiments."